- Determine if there is a dialogue-based path forward for stakeholders to make meaningful progress towards a common and compelling vision for a sustainable wood energy future. 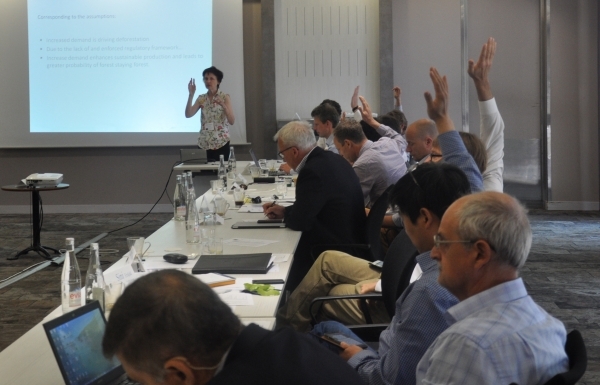 A total of 37 participants from more than a dozen countries took part in the scoping dialogue in Montpellier, France, starting on the evening June 20th concluding on the afternoon of June 22nd, 2016. This report summarizes key observations and discussions from the dialogue, including some proposed pathways forward for consideration by the TFD Advisory Group set up to prepare this scoping dialogue and by the TFD Steering Committee, its overarching governance body.